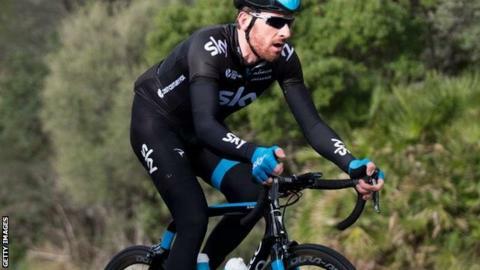 Olympic champion Sir Bradley Wiggins will compete at the Commonwealth Games in Glasgow, a week after finishing the Tour de France. The 33-year-old Englishman won Commonwealth silver medals at Kuala Lumpur 1998 and Manchester 2002. "It's a nice thing to have within the UK," Wiggins told Cycling News. "It'll be nice to add that [gold] and it's a couple of days after the Tour, so it's just for the sake of carrying on for a few more days and doing it." Wiggins won the 2012 Tour de France and the London 2012 time trial, one of his seven Olympic medals - a record for a Briton. This year's Tour de France, which starts in Yorkshire, will end in Paris on 27 July. The Commonwealth Games time trial takes place on 31 July and the road race on 3 August.